What is the difference between a retained and a contingency recruiting agency? What are the responsibilities of the Physician Recruiter? Should a physician recruiter send a CV to a client without the physician's permission? As a physician, I receive many phone calls, mailings, and view numerous advertised positions on-line and in medical journals. How do I decide which opportunities to explore? I have decided to work with a recruiter firm for practice opportunities. What can I do to prepare myself for my initial recruiter phone contact? What information should I expect the recruiter to provide to assist me in deciding whether to set up a phone interview with a prospective employer? How can I maximize my relationship with the physician recruiter who is representing me? What is the difference between an income guaranteed and a salaried position? Can you define the following income productivity definitions? I have just accepted my ideal position and am ready to relocate. What should I do first? ACADEMICS - Your teaching role continues, similar to residency or fellowship. ASSOCIATION - Similar to a partnership, however the business portion of the practice is separate including expenses, coverage, and staff. HMO - A desirable option for the physician who doesn't wish to run a practice or be in a private practice multi-specialty group. INDUSTRY - This type of position is best suited for the physician interested in preventative primary care or quality control in a large industrial environment. MULTI-SPECIALTY - You are employed by one business entity, however you are provided all the aspects of a medical community. PARTNERSHIP - A business arrangement where as the new physician, you attempt to gain equity in the practice and after one to three years are offered partnership. 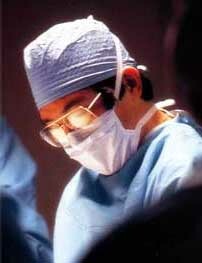 SINGLE-SPECIALTY - One specialty is represented among physicians who have agreed to be in business together. SOLO - The best option for the physician who desires complete control over his/her practice. Often times the area hospital provides economic support to aid in setting up practice. With both types of agencies, the client pays the recruiting agency a fee for a physician to be placed with them. Under the retained agreement, the client pays the agency an initial "retainer" under the understanding that an appropriate physician will be placed with them before a determined date. The remainder of the fee is usually paid upon the physician's start date. Under the contingency agreement, half of the fee is typically paid when the physician signs a contract with the client, the other half is paid upon start date of the physician. A Physician Recruiter continually works to find the best candidates for positions available with his/her clients. To accomplish this, the recruiter is paid a fee by the client to screen and select from a pool of eligible physician candidates, present the opportunity to the candidates, introduce the client to the candidate, schedule interviews, arrange itinerary and travel plans, assist in contract negotiations, and maintain a relationship with the candidate and the client during the recruitment process. This process is complete only when a physician begins practice with the client. Our standard policy is to never send a CV to a client without the physician's permission. During our initial contact with you, we can establish clear guidelines as to what we expect from each other during the recruitment process. As a physician, I receive many phone calls, mailings, and view numerous advertised positions on-line and in medical journals. How do I decide which opportunities I want to explore? Find one recruiter that you trust and allow him/her to find the ideal opportunity for you based on the confidential information you disclose. I have decided to work with a recruiting firm for practice opportunities. What can I do to prepare myself for my initial recruiter phone contact? Determine the geographic region, state, city, etc. you are willing to practice in. Determine the practice type you are looking for. Determine your acceptable salary range. Determine your highly specific needs. What is the size of the community? What is the area climate? What is the mode of practice (i.e. solo, multi-specialty)? What is the call coverage? Is the position salaried or income guaranteed? What is the compensation and benefits package? Try not to work with multiple recruiters at once. Find one, possibly two recruiters that you trust and let them know about each other so efforts aren't duplicated. Return phone calls promptly. The recruiter needs to be able to reach you if a client has expressed interest. Be honest about your background information and motivation for job searching. It is best to address any skeletons before a site visit or reference check reveals them. Allow the recruiter to handle your negotiation efforts for you. A guarantee is the dollar amount that a hospital will pay in your first year or two of work. A salary is a fixed amount that will be paid over a specific time frame. This is addressed further in our Negotiating the Income/Benefits Package section. Gross Productivity - Total charges for all physician provided services based on the group's fee schedule. 3rd Party Adjustments - Physician specific 3rd party adjustments affecting individual physician's gross productivity (i.e. Medicare, Medicaid, Blue Shield, HMO's). % of Total Collectible Productivity - The ratio of individual physician's collectible productivity to group's total collectible productivity. Physician Draw - % of physician's productivity times a certain % of cash receipts. State Controlled Substance Permit - not needed in all states. The state licensing board will have the information you need to obtain this.